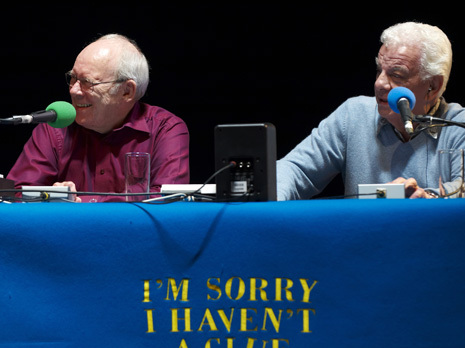 Never-bothered-to-be-seen-before photos from the archives of I'm Sorry I Haven't a Clue. 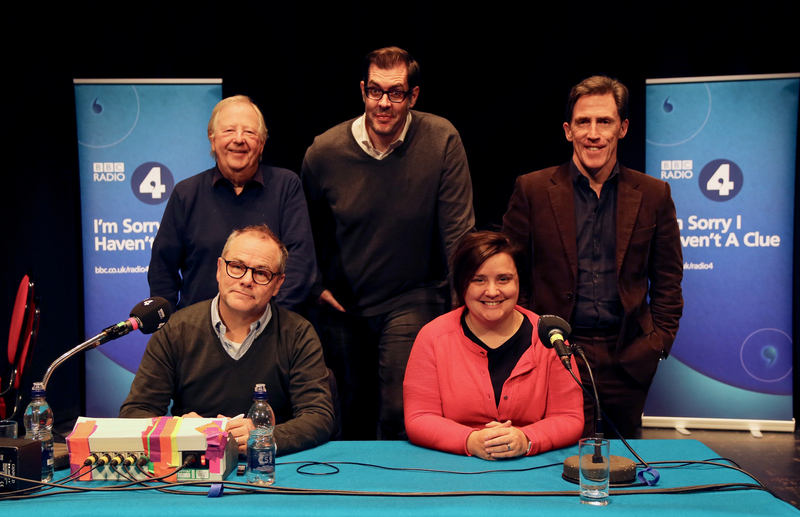 A special festive edition of the show with guest Stephen Fry and a DIY pantomime. 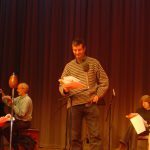 Recorded at the Logan Hall, London. 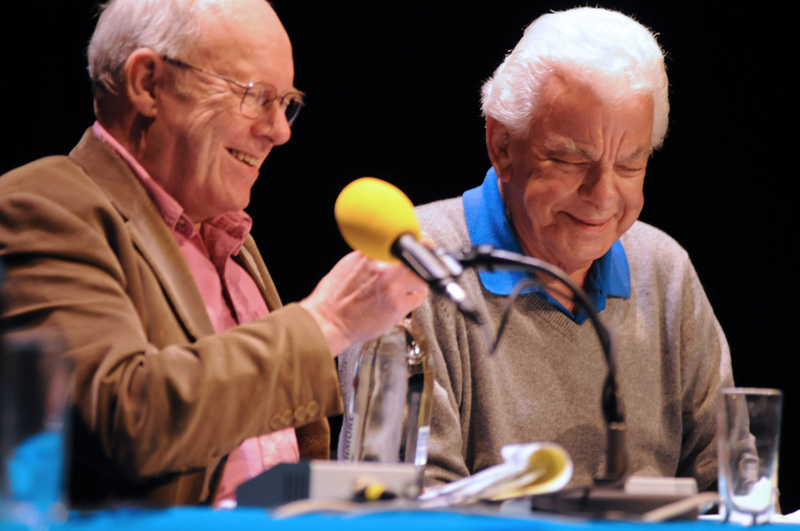 Graeme and Barry during a recording in Chesterfield on June 10th, 2013. 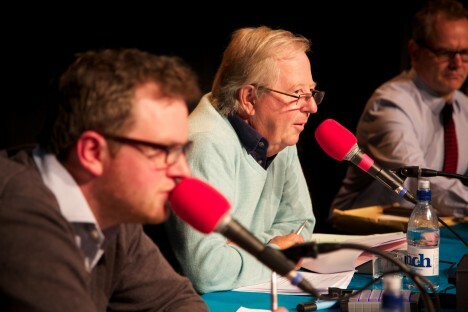 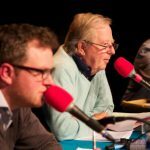 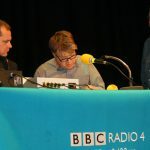 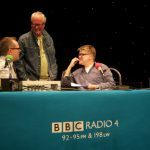 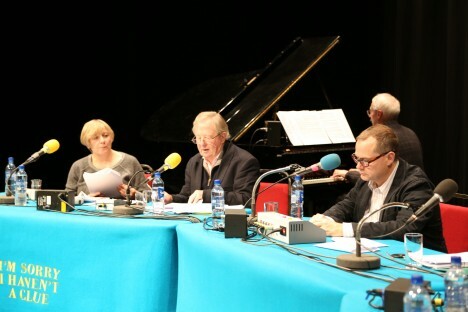 Tim, Jack and guest panelist Miles Jupp at a recording in Chesterfield, 10th June 2013. 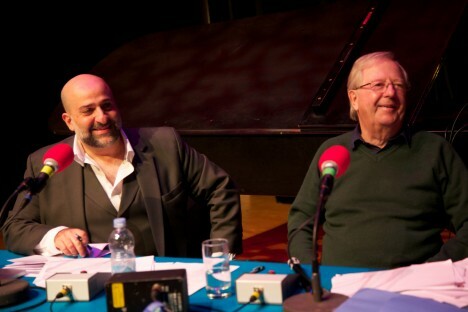 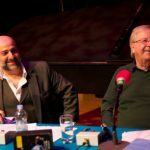 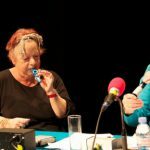 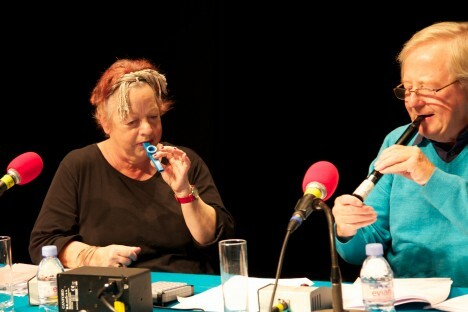 Jo Brand and Tim Brooke-Taylor harmonise during a recording in Richmond on November 2nd, 2014. 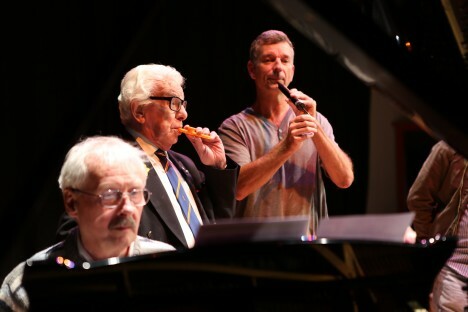 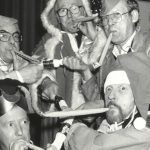 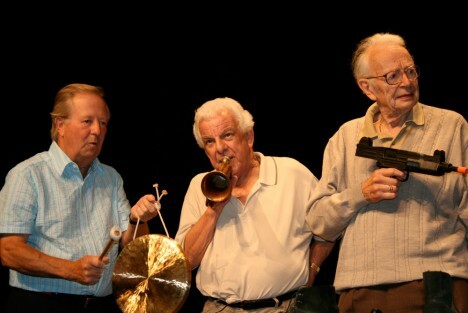 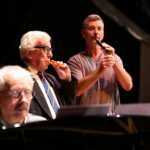 Colin Sell, Barry Cryer and Tony Hawks rehearse their Swanee Kazoo duet. 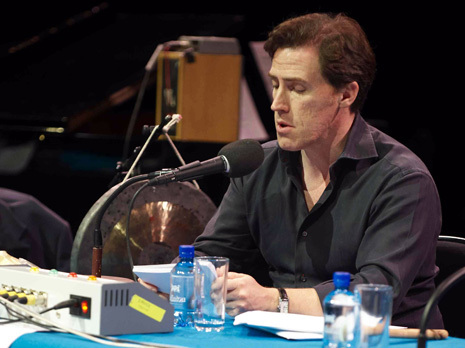 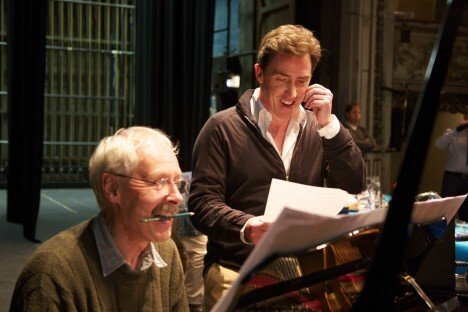 Colin Sell and Rob Brydon at the 2012 Swansea recording. 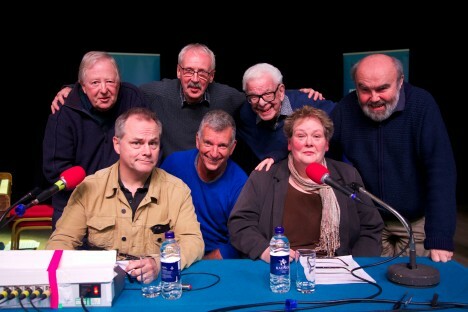 Preston recording for series 58, with brilliant guest Victoria Wood. 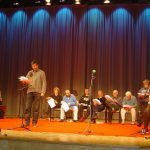 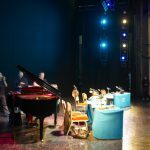 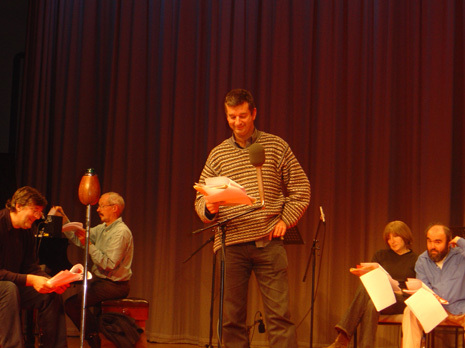 The teams, with stand in Tony Hawks, rehearse for a recording in Warwick. 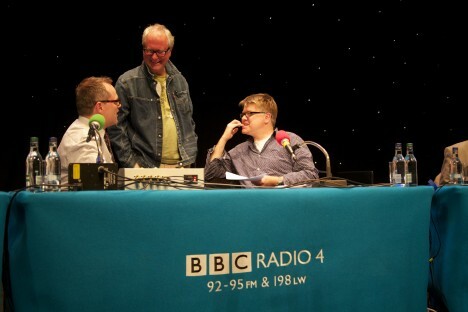 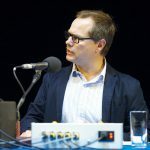 Jack Dee with writer Iain Pattinson and producer Jon Naismith prepare for the recording in Swansea, 2012. 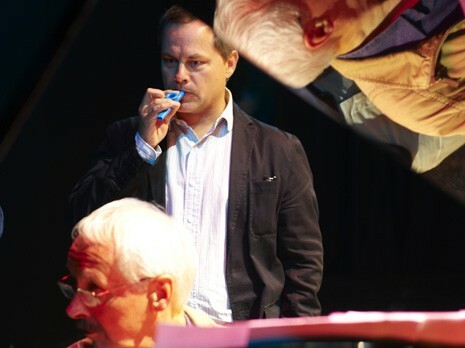 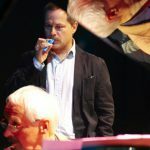 Jack Dee and Colin Sell rehearse a Swanee Kazoo medley. 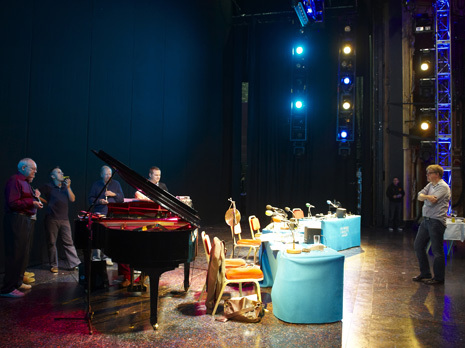 Producer Jon Naismith overseas a pre show musical rehearsal. 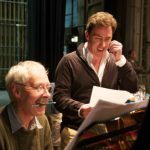 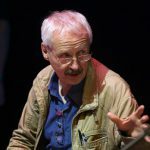 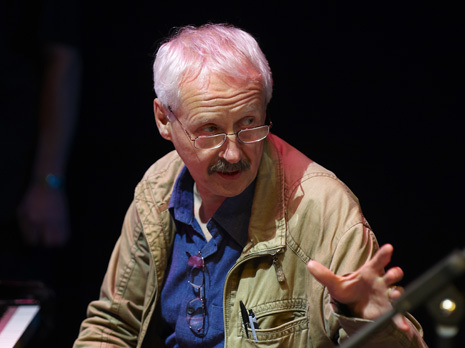 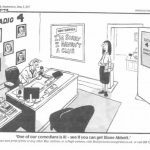 Maestro Colin Sell advises on how best to sing ‘One Song To The Tune Of Another’ on ISIHAC. 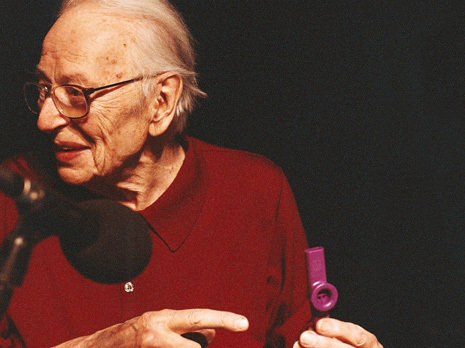 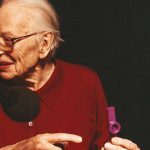 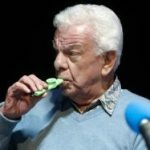 Barry Cryer gets to grips with his kazoo. 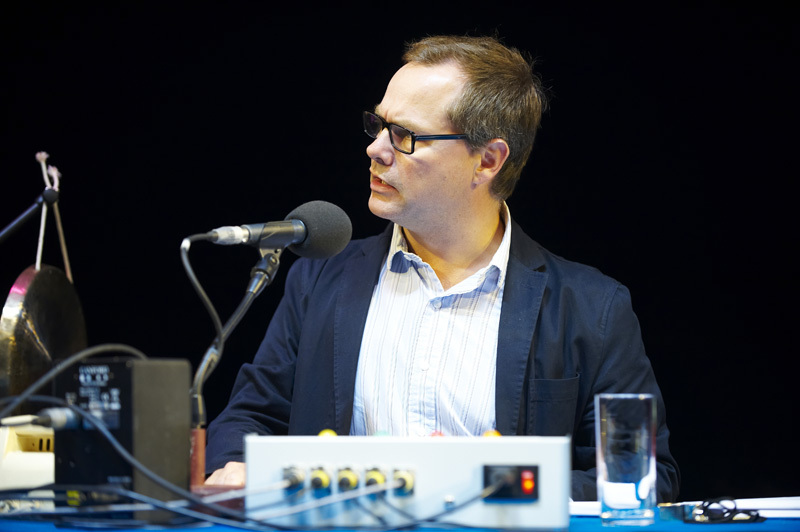 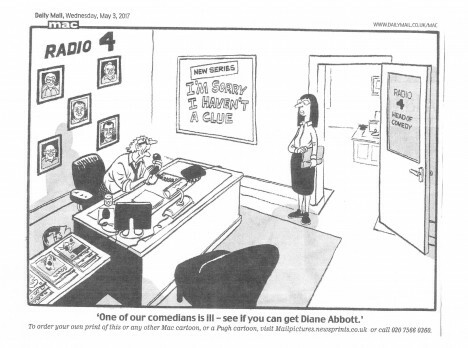 Chairman Jack Dee questions Tim’s use of Tooting Bec when Nip is in play. 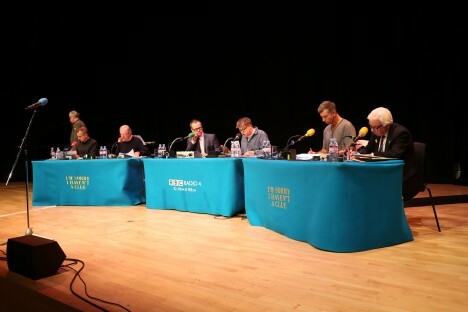 The team await the arrival of Samantha. 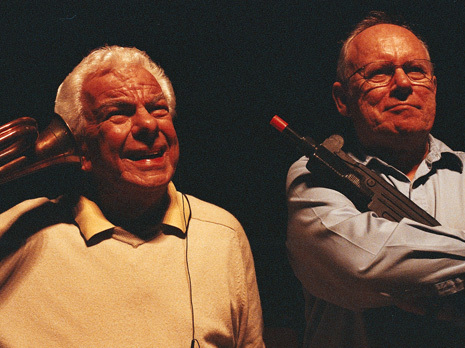 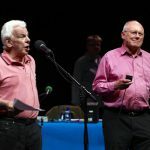 Graeme Garden and Barry Cryer attempt to guess a sound charade. 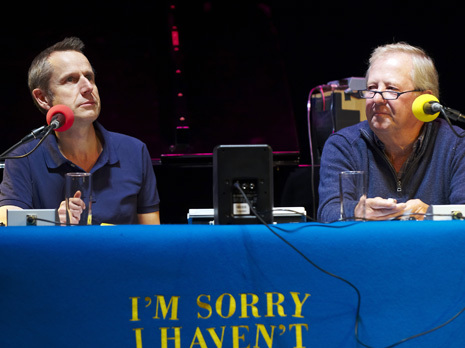 Jeremy Hardy and Tim Brooke-Taylor compose a letter in a game of ‘84 Chicken Cross Road’. 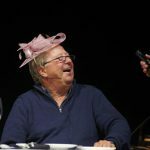 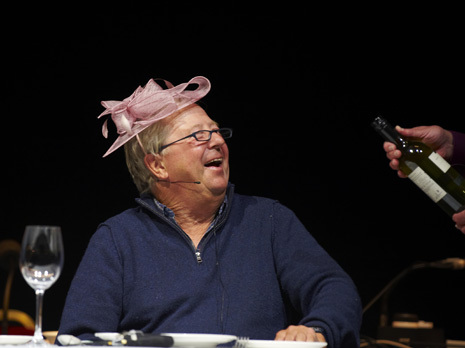 Tim Brooke-Taylor dons a fetching hat for a game of ‘Waiters’. 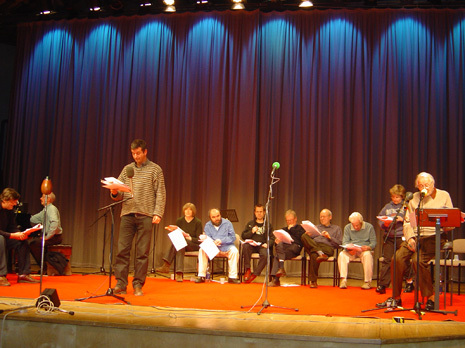 The cast of the 2007 Christmas special, ‘Humph In Wonderland’, admire Humphrey Lyttelton’s trumpet solo. 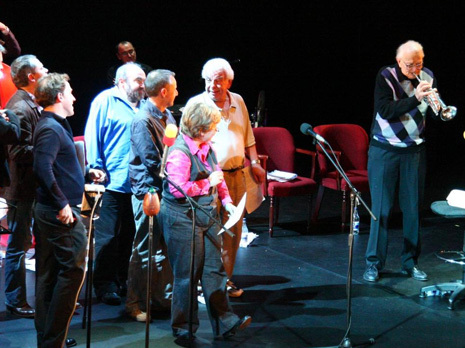 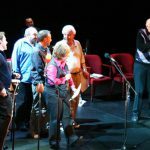 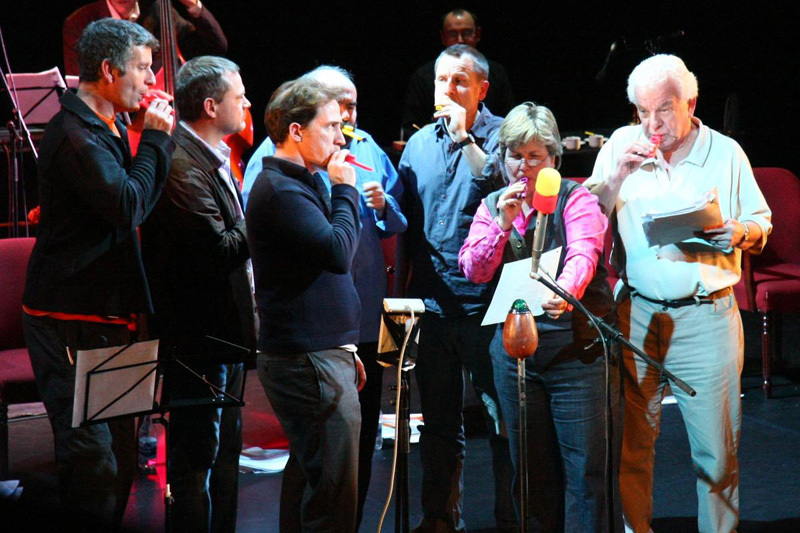 Tony Hawks, Jack Dee, Rob Brydon, Andy Hamilton, Jeremy Hardy, Sandi Toksvig and Barry Cryer play their kazoos. 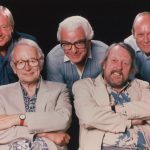 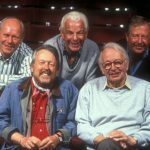 Tim Brooke-Taylor, Humphrey Lyttelton, Graeme Garden and Barry Cryer. 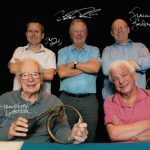 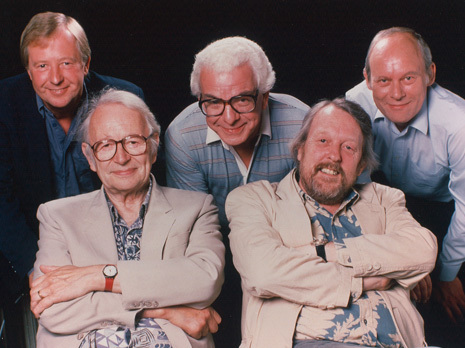 The original Clue line up: Graeme Garden, Willie Rushton, Barry Cryer, Humphrey Lyttelton and Tim Brooke-Taylor. 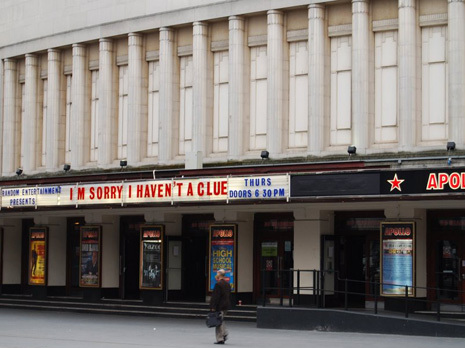 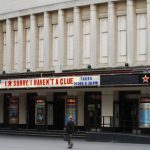 The ‘I’m Sorry I Haven’t A Clue’ tour show at the Hammersmith Apollo in 2008. 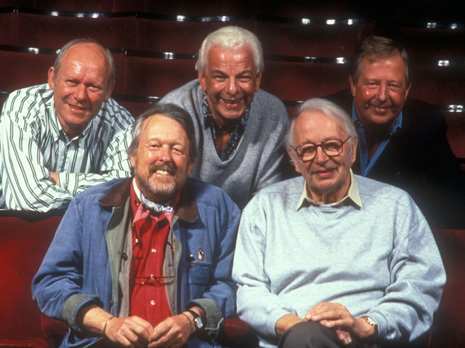 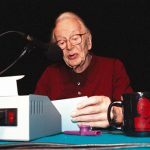 The original Clue line up: Tim Brooke-Taylor, Humphrey Lyttelton, Barry Cryer, Willie Rushton and Graeme Garden. 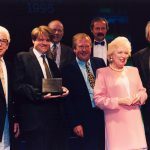 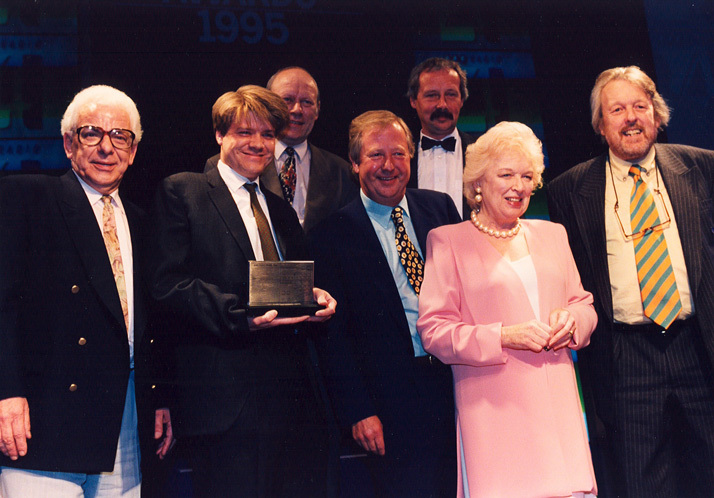 The Clue team receive a Sony Radio Academy award for the show in 1995. 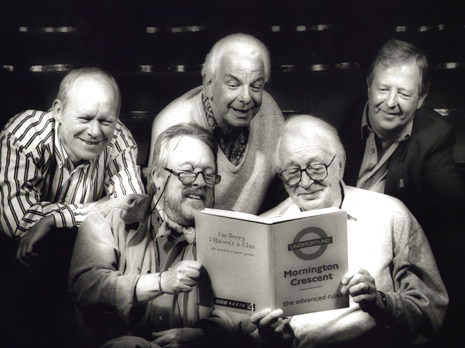 The Clue team get to grips with the rules of ‘Mornington Crescent’. 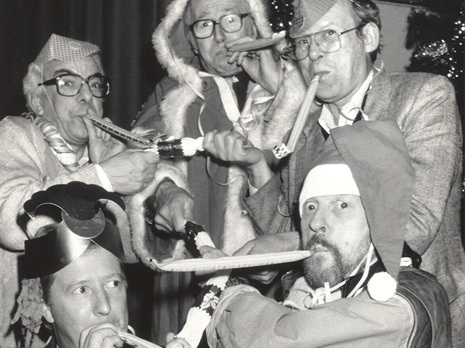 The Clue team get into the festive spirit after a little too much punch at the Radio Entertainment Christmas party. 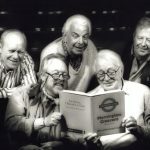 Cast members Stephen Fry, Tony Hawks, Linda Smith, Andy Hamilton join Colin Sell at the piano for the recording of ‘I’m Sorry I Haven’t A Christmas Carol’ in 2003. 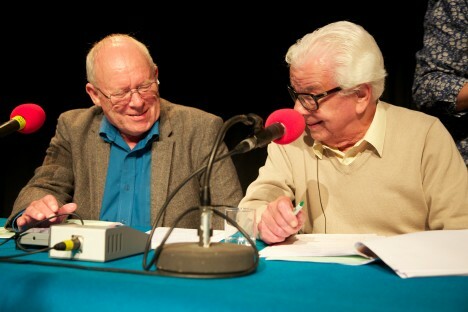 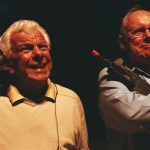 Team mates Graeme Garden and Barry Cryer. 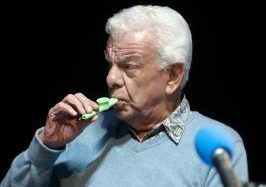 Barry Cryer focuses on his next move in ‘Mornington Crescent’. 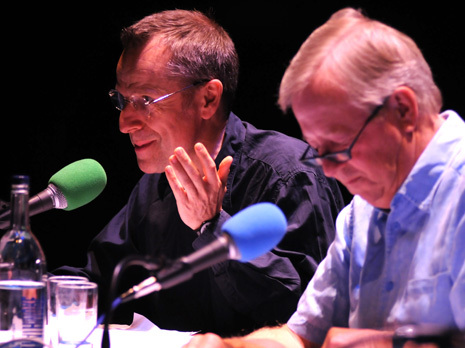 Jeremy Hardy and Tim Brooke-Taylor. 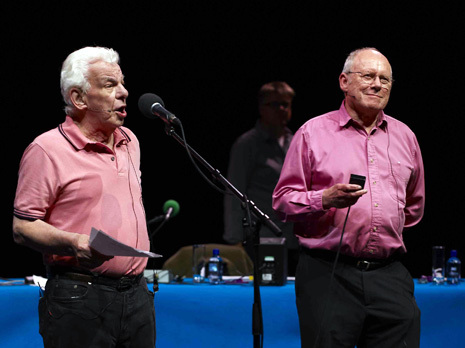 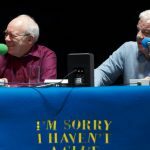 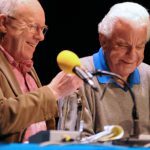 Barry Cryer and Graeme Garden make liberal use of the buzzer to censor the songs of Julie Andrews. 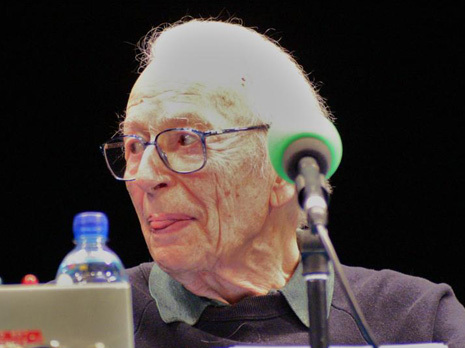 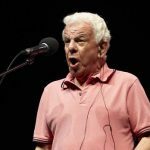 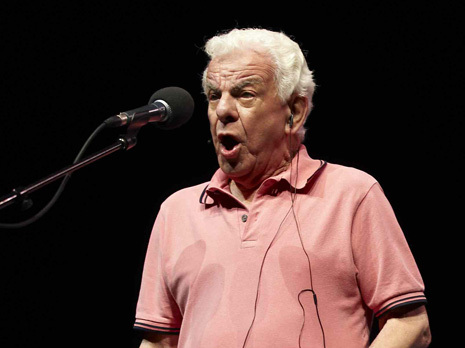 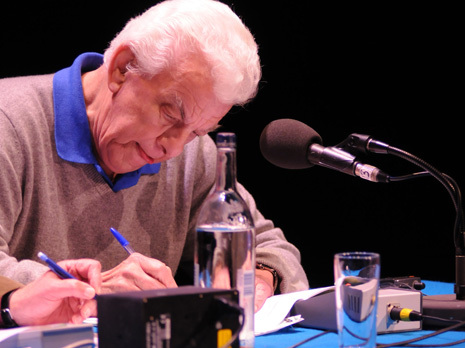 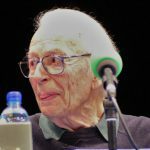 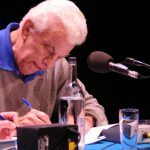 Barry Cryer sings ‘One Song To The Tune Of Another’ at the Royal Festival Hall in 2010. 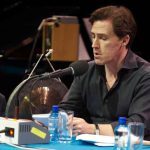 Rob Brydon as the guest Chairman, at the Royal Festival Hall in 2010. 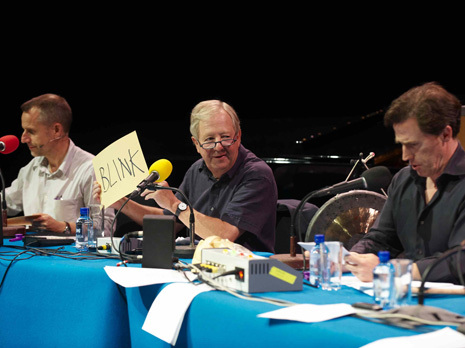 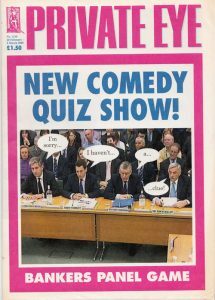 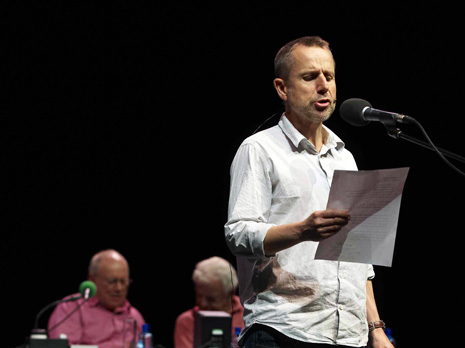 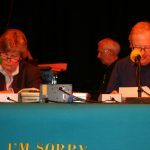 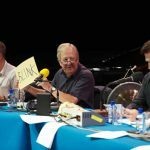 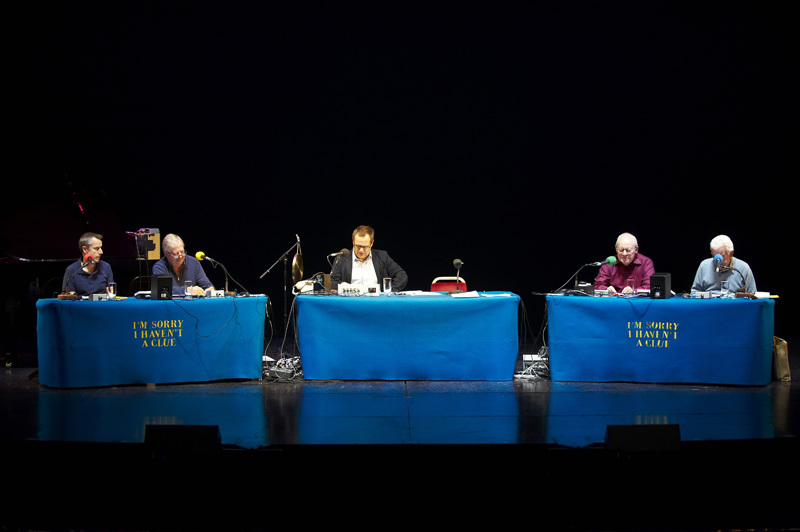 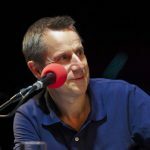 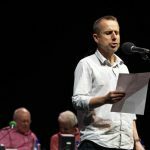 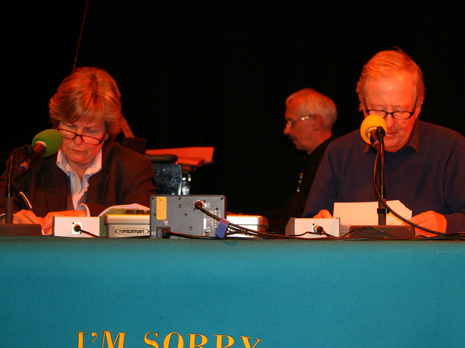 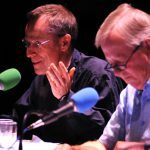 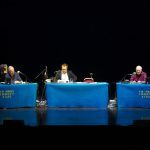 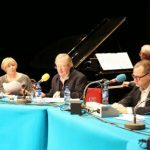 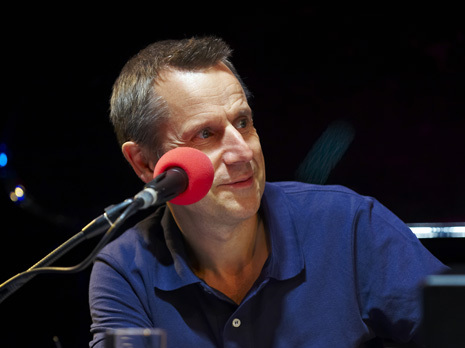 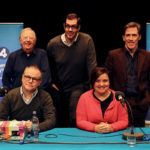 Jeremy Hardy, Tim Brooke-Taylor and Rob Brydon play ‘Quiz Of Quizzes’ at the Royal Festival Hall in 2010. 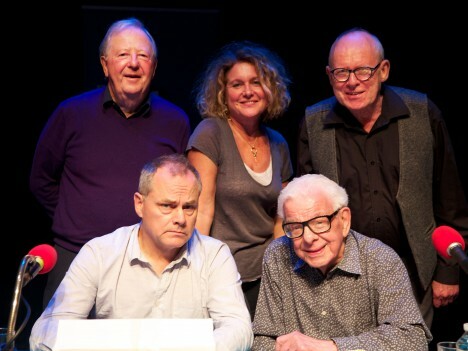 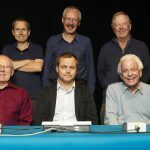 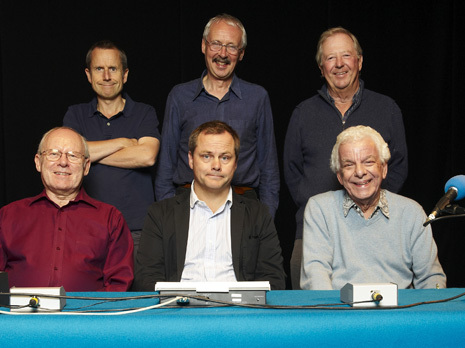 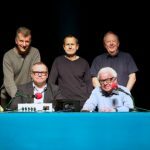 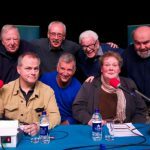 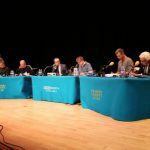 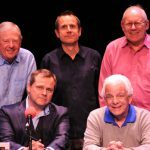 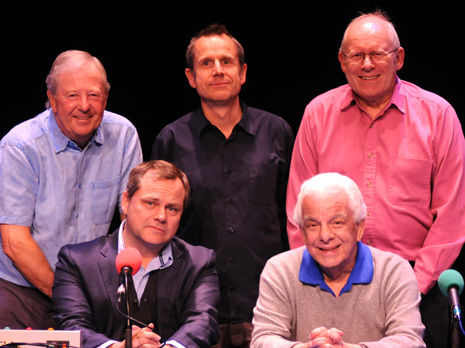 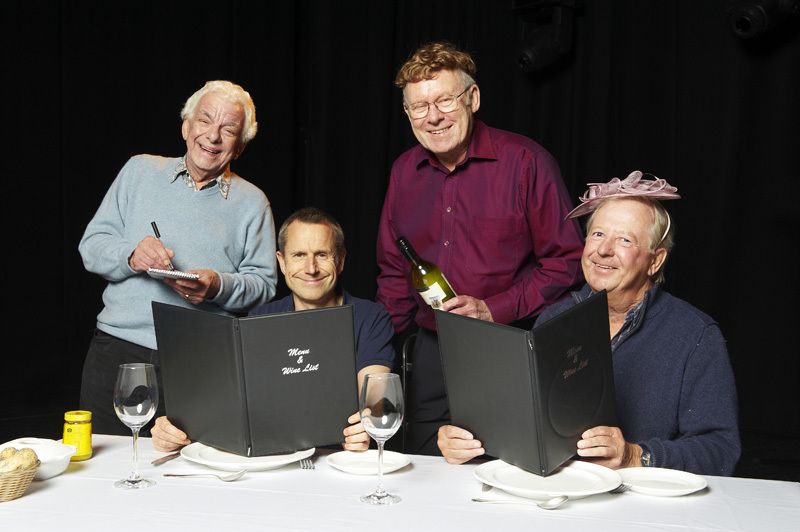 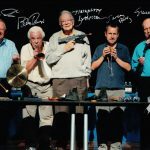 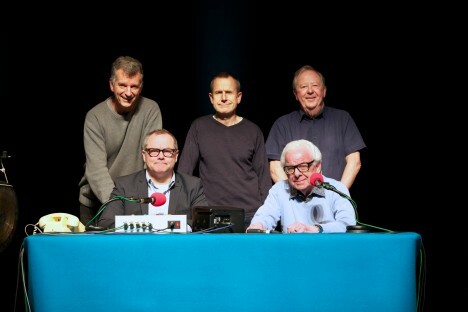 Clue regulars Jeremy Hardy, Colin Sell, Tim Brooke-Taylor, Barry Cryer, Jack Dee and Graeme Garden. 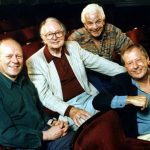 Tim Brooke-Taylor, Barry Cryer and Humphrey Lyttelton investigate the props for ‘Sound Charades’. 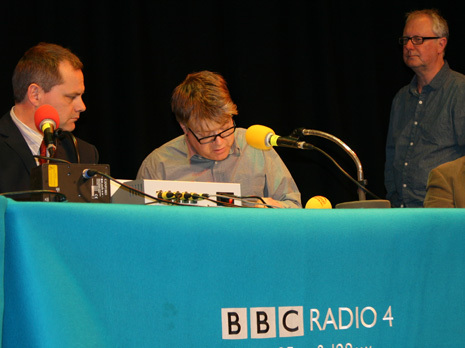 Producer Jon Naismith and Jack Dee discuss the script whilst they await the arrival of Samantha. 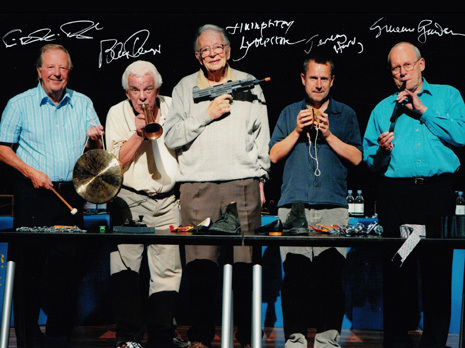 Signed photo of the team playing ‘Sound Effects Storytime’. 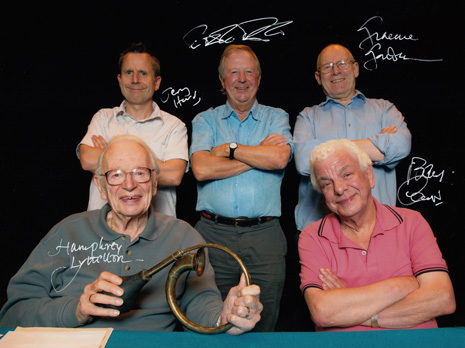 Signed photo of the team from the 2007 ‘I’m Sorry I Haven’t A Clue’ tour. 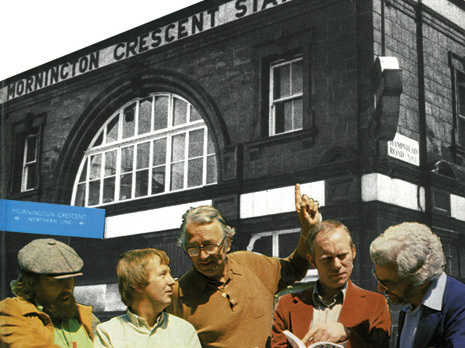 The original Clue team navigate their way to Mornington Crescent. 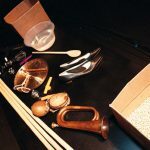 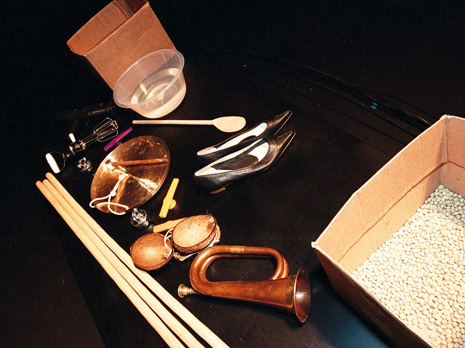 A selection of props for a round of ‘Sound Effects Storytime’. 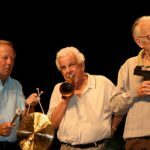 Humphrey Lyttelton, complete with kazoo and Chairman Humph mug. 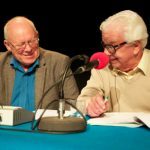 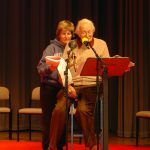 Barry Cryer and Graeme Garden prepare for a round of ‘Sound Effects Storytime’. 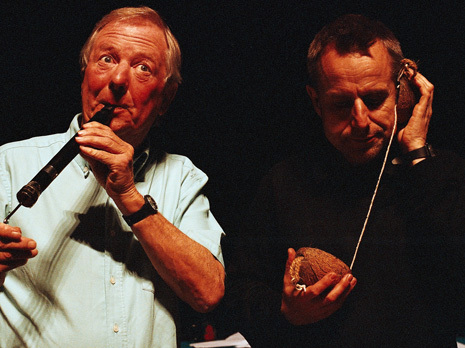 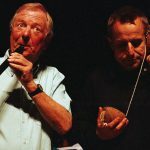 Tim Brooke-Taylor on the swanee whistle is accompanied by Jeremy Hardy on the coconuts. 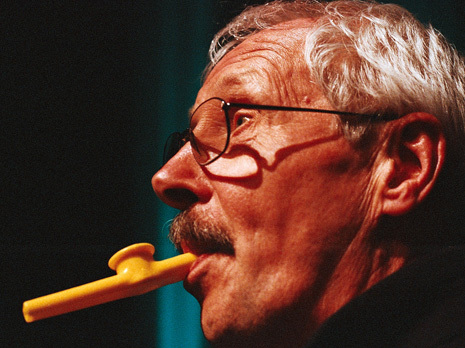 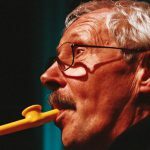 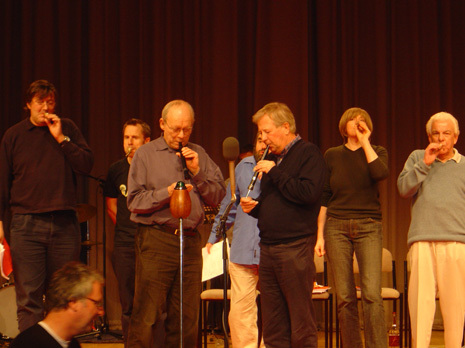 Colin Sell demonstrates his musical prowess on the kazoo. 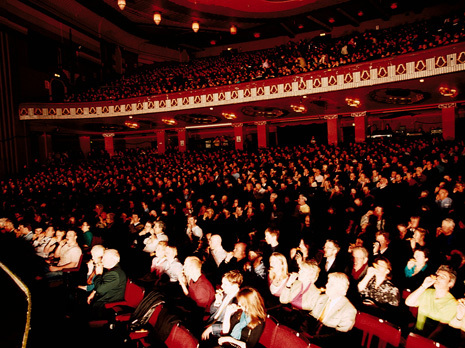 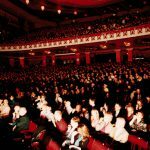 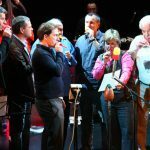 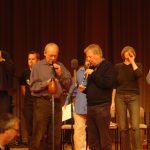 The audience at the Hammersmith Apollo join in with a kazoo chorus in 2008. 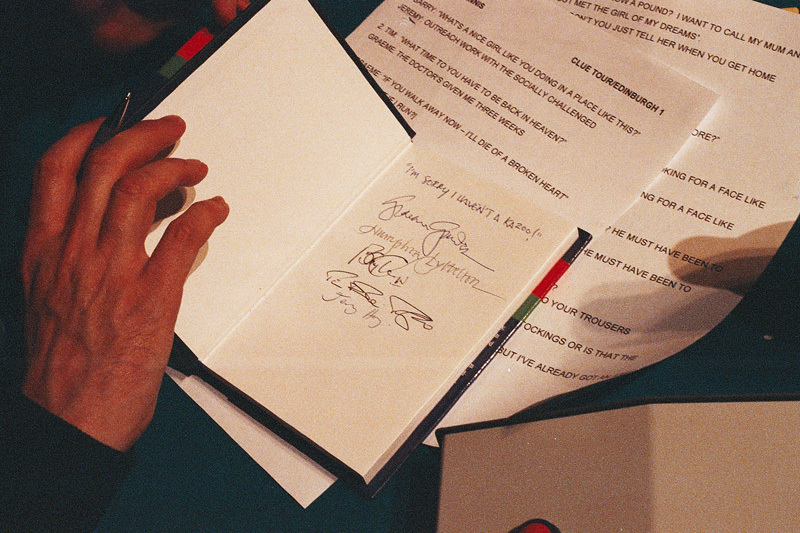 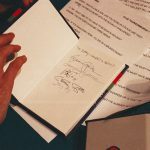 A signed copy of The Uxbridge English Dictionary. 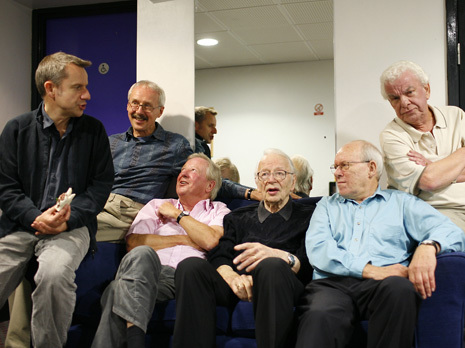 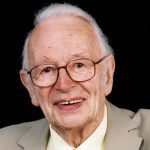 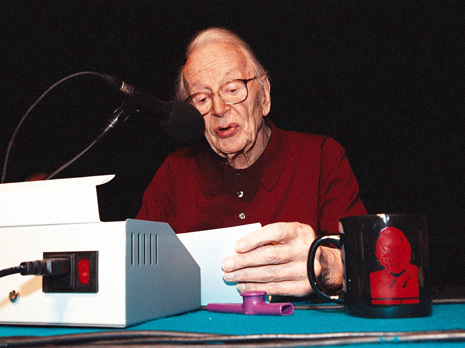 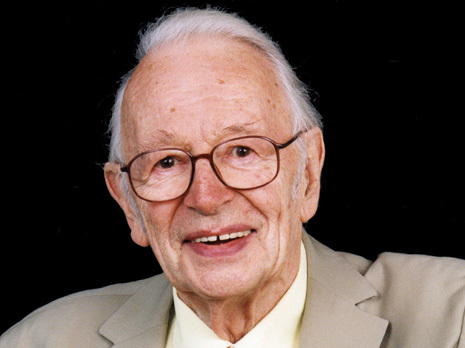 Humphrey Lyttelton takes a rare break from his crossword to check on the teams. 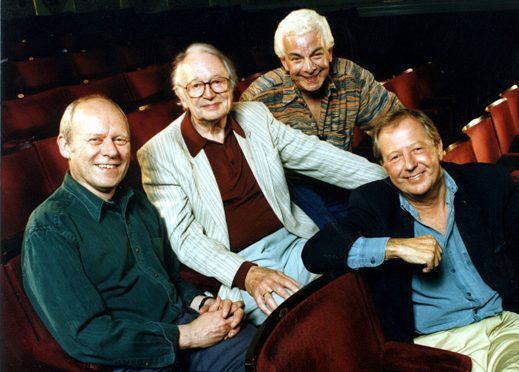 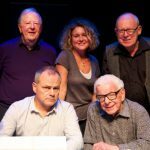 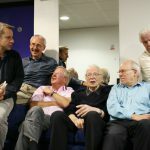 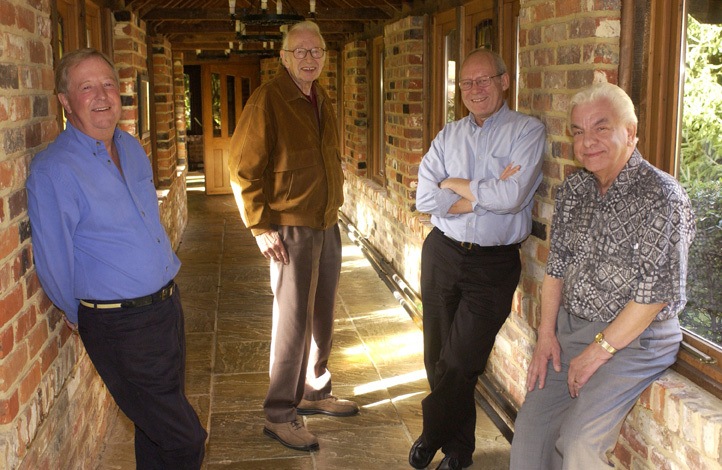 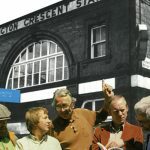 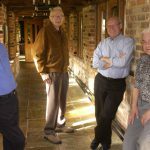 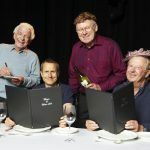 Graeme Garden, Humphrey Lyttelton, Barry Cryer and Tim Brooke-Taylor. 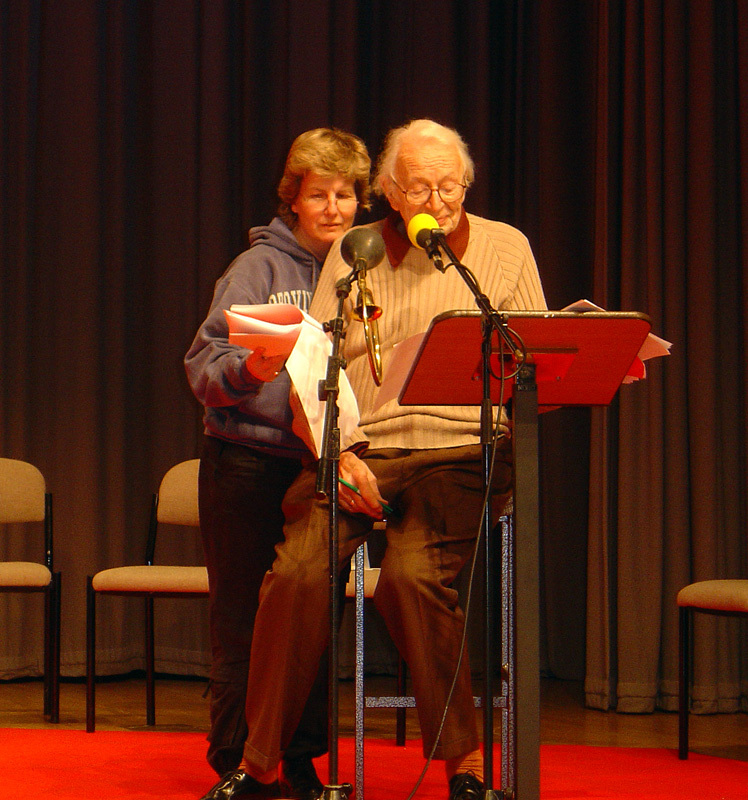 The very tall Humphrey Lyttelton and rather smaller Sandi Toksvig play husband and wife in the 2003 Christmas special ‘I’m Sorry I Haven’t A Christmas Carol’. 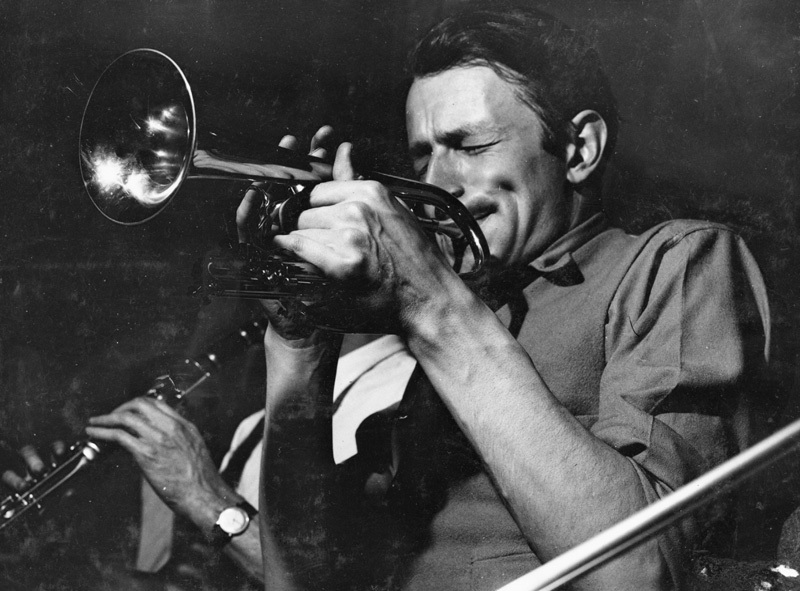 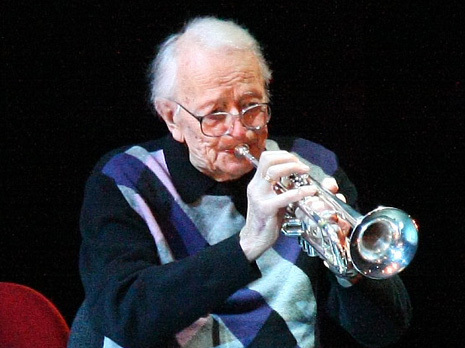 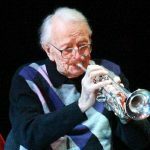 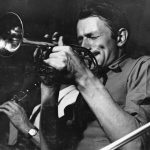 A young Humphrey Lyttelton plays the trumpet.